Out of all the songs Dave Brubeck penned over his lengthy career, my favorite is his tune “Nomad”. 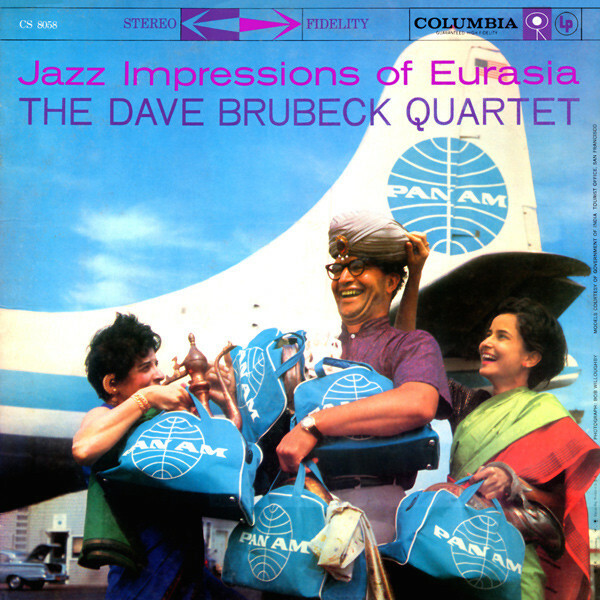 Written by Brubeck during their tour of Eurasia in the spring of 1958 while in Afghanistan, the tune was first heard by the masses on Brubeck’s album ‘Jazz Impressions of Eurasia’. It has a haunting melody, interesting chord changes, and a small time signature switch, all making “Nomad” a catchy tune and one quite conducive to blowing. As such, I always wondered why other jazz musicians didn’t take up this song and make it a part of the jazz lexicon. I’m not aware of any other musicians recording “Nomad”, and I feel like even among Brubeck fans, this tune goes underappreciated. Brubeck officially recorded it about two or three times, and managed to be captured on tape playing it other times, so he apparently championed the tune himself throughout the years. Still, I wish he had added it to his regular set list like he did “Koto Song”. From the evidence captured on tape, it was a crowd favorite and one of the more popular tunes from the album. Paul Desmond always seemed inspired when soloing on this tune, as did the rest of the group. 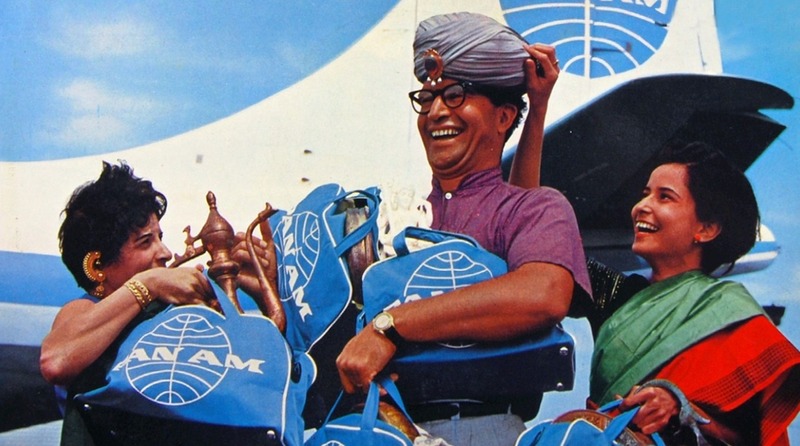 So, due to what I perceive is a bit of under-appreciation (and because it’s my favorite Brubeck song), here’s another post spotlighting a great tune by gathering all the many versions of “Nomad” available and giving them some love. Let’s travel to 1958! The initial recording of a song is often times the best recording of the song, and that’s the case of this tune. Recorded in the famed New York City Columbia studios, this track is a masterpiece and a study in how to write a musical composition that captures the mood of a country and is conducive to jazz improvisation. Brubeck wrote it after having an unforgettable encounter in Kabul, Afghanistan. 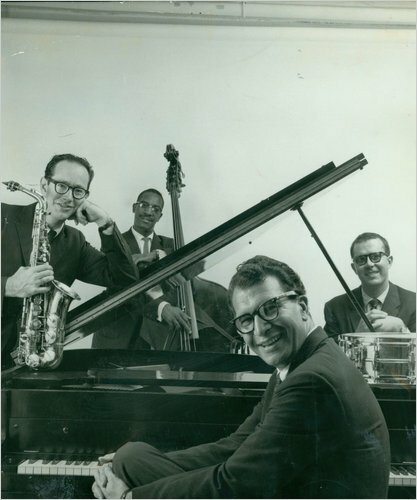 The Dave Brubeck Trio in Afghanistan in 1958. Paul Desmond wasn’t allowed entry to due his identification as Jewish. The above is taken from Brubeck’s album ‘Jazz Impressions of Eurasia’, on which the song “Nomad” is the opener. 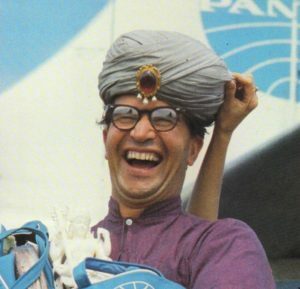 Joe Morello’s mallets start things off, conjuring up images of the camel-riding drummer riding through the night. Joe Benjamin’s bass enters next, emphasizing the rhythm established by Morello’s drumming. A few bars into Benjamin’s vamp, Paul Desmond sails in with his lilting and airy alto sax, sounding like the plaintive flute of the Afghani nomad. Desmond plays the melody, which sounds haunting due to the stark support of only drum and bass. After playing the first theme, the three musicians go into eight bars of three/four before going back into four/four time. Around this time, Brubeck’s snapping can be heard as he helps keep the guys in time. The three men go into three again before coming out to four. Brubeck’s piano is heard for the first time, playing quiet sustained chords as Desmond plays the theme. The tune, at first a pastoral homage to the nomadic tribes of Kabul, is suddenly transformed into a romping jazz composition. The melody is catchy and infectious, and after another restatement of the melody, Desmond launches into his solo. He must have really liked the song, as he solos for three choruses before handing it over to Brubeck. Brubeck’s solo is one of his most intriguing and unique in-studio solos on record and completely different from any of his subsequent solos on “Nomad” captured on tape. It’s two-fisted piano with dense chords and laden with syncopation. At one point, Brubeck’s enthusiasm is expressed in a “yeeah” during a quiet point in his solo. Brubeck’s solo gives way to Morello’s equally intriguing solo. Morello manages to switch from drum sticks to mallets and then it’s back to the statement of the melody. Brubeck takes the melody first, then Desmond. Brubeck can again be heard again near the end of the song, giving another “yeeah” to cue the end of the song. It’s a fantastic album-opener and a great introduction to the tune. This live recording comes to us from a summer night in 1958. 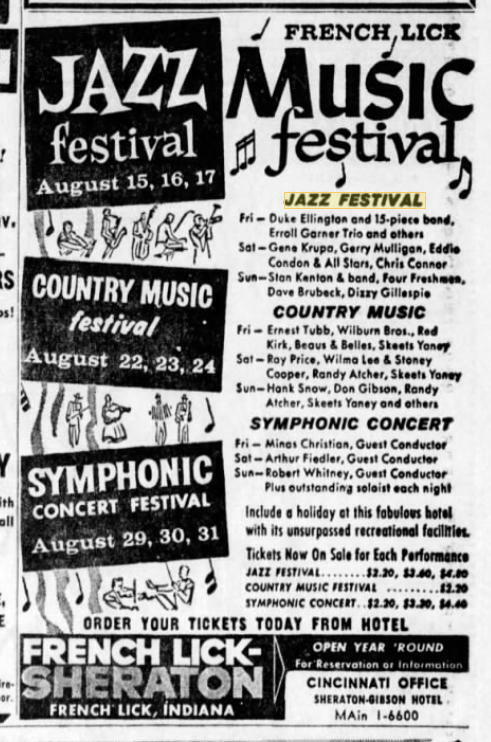 George Wein, creator of the Newport Jazz Festival, organized a similar event at the Sheraton Hotel in French Lick, Indiana, bringing musicians like Duke Ellington, Miles Davis, Erroll Garner, and Eddie Condon, to name a few. It lasted three days, from Friday, August 15 thru Sunday, August 17. The Dave Brubeck Quartet played the last night, and the audience enthusiastically welcomed and enjoyed the group. They performed songs from the newly released album ‘Jazz Impressions of Eurasia’, as well as “Sounds of The Loop” as a feature for drummer Joe Morello. As on the album, “Nomad” was the opener for Brubeck’s set, and they came out full throttle. Morello’s opening drum statements leading to Desmond’s solo are more pronounced and more involved than his more introspective drumming on the studio recording. 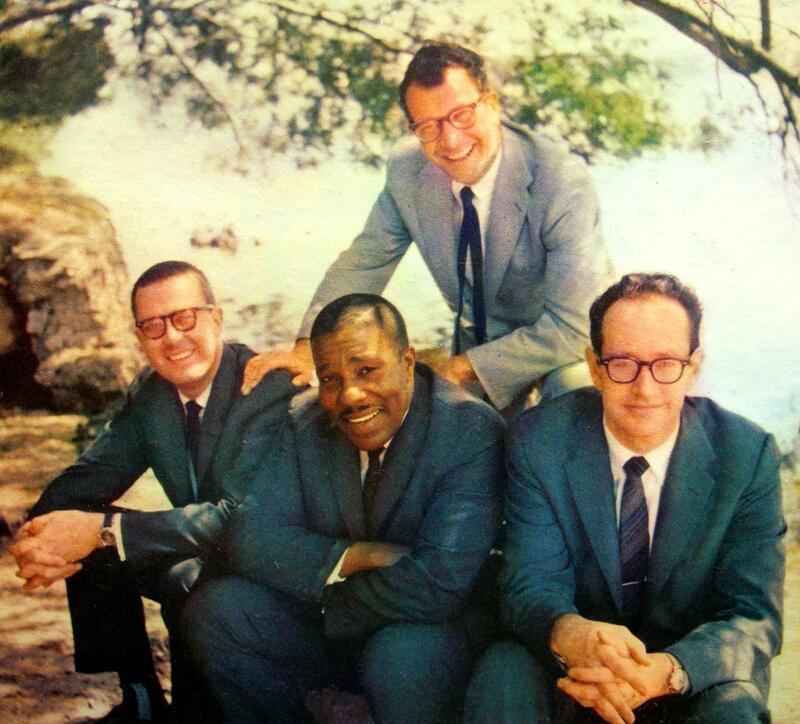 In fact, the whole group seems more energized on this outing, which makes sense since Brubeck and Desmond preferred an audience as opposed to a studio. Desmond blows four inspired choruses, with references and quotes of “On Green Dolphin Street”, “Candy”, and Miles Davis’ “Four” peppered throughout. Brubeck’s supportive chords and vocals spur Desmond on until he logically winds down his solo, yielding to Brubeck as the audience loudly cheers and whistles. Brubeck’s solo starts off with single notes before quickly building to thundering chords. The critics may cringe when Brubeck starts his bombastic piano attacks, but the audience that night erupted into applause and cheers in the middle of Brubeck’s solo. Brubeck picks up Desmond’s “Candy” reference during his solo before handing it over to Morello, who plays a melodic solo. The group takes it out with the standard arrangement, with Morello playing a humorous figure that gets the appreciative audience laughing. As on the studio version, Brubeck’s “yeeeah” cues the guys in to the ending figure. Brubeck’s ending chord, unlike the studio version, is a full, pleasant-sounding chord. This was one of the last dates that Joe Benjamin played during his brief tenure with the Dave Brubeck Quartet. 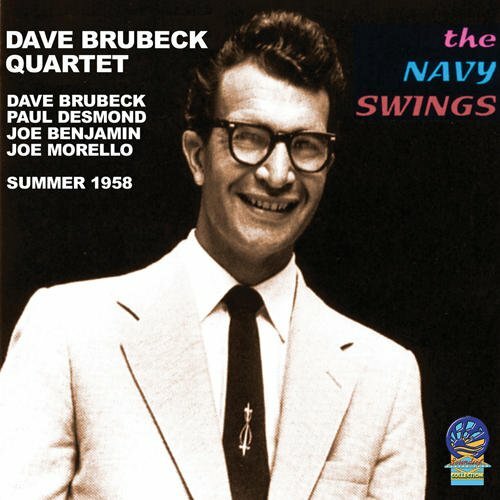 In the summer ’58, the Dave Brubeck Quartet made a series of radio transcriptions in the studio that ended up on a promotional program for the United States Navy. 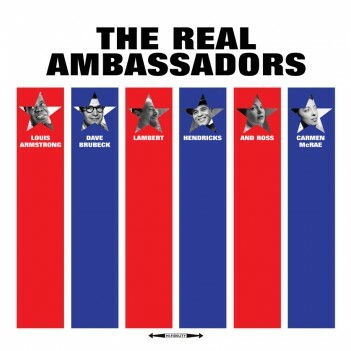 The recordings were brief and used as a recruiting tool for the Navy, with Don Wilson (Jack Benny’s announcer) acting as MC for the programs. The music was never made available to the public until a few years ago on two different albums. One was called ‘The Navy Swings’, the other ‘In Your Own Sweet Way- Previously Unissued 1958 Studio Transcriptions’. “The Navy Swings” includes Wilson’s announcements while the other album omits them. Although the exact recording date is unknown, these are generally believed to be the last recordings Joe Benjamin made with the Brubeck Quartet. Among the many tunes recorded was a succinct version of “Nomad”, lasting no more than three and a half minutes, most of it just the arrangement of the tune. Brubeck and Desmond only get a single chorus of soloing. They use the brief time to spin some interesting phrases. Desmond again references Miles Davis’ tune “Four” and attaches it to the same phrase that he used in the previous two recordings, one that many jazz musicians used in the 1940’s and 50’s. You can find this at the 1:40 minute mark. 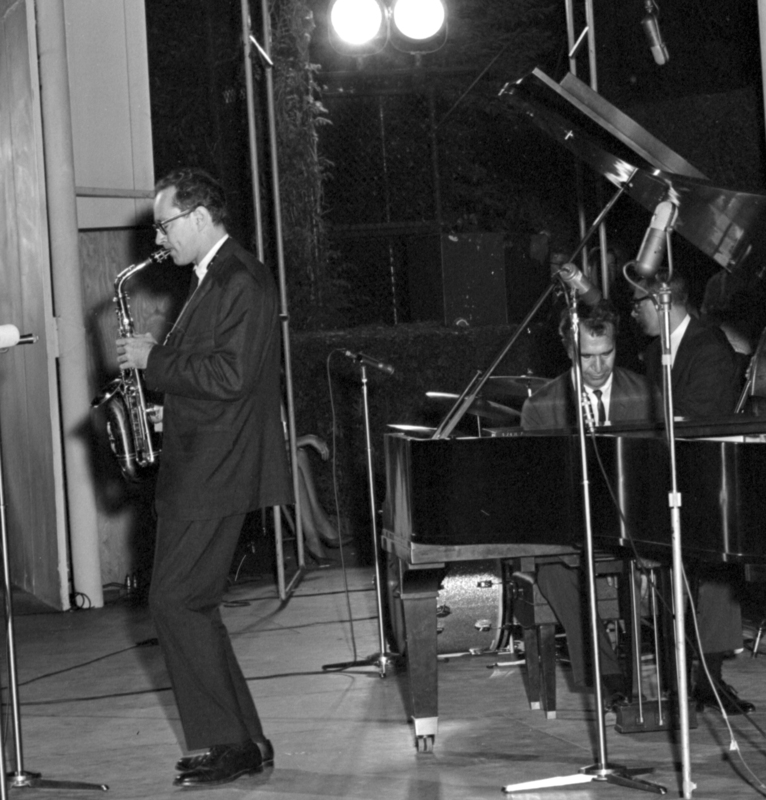 For two spring nights in 1959, the Dave Brubeck Quartet entertained fans at the mighty Multnomah Hotel in Portland, Oregon. The quartet was extremely comfortable and relaxed, playing long sets for a small but appreciative audience. On their first evening at the hotel, the group played set featuring tunes that were both long-time standards in their book and tunes that were new additions to their repertoire. Among the songs in the latter category was “Nomad”. As the audience’s applause was dying down, Brubeck turned to his band mates and told them they had requests to do some songs. Brubeck then took the mic and explained to the people that they had received a request to play “Nomad” and “Brandenburg Gate”, two new songs from his then-new album ‘Jazz Impressions of Eurasia’. Morello’s drums kicks the tune off, and Desmond floats in with the familiar melody. Desmond was inspired that night, blowing five extremely tasty choruses. The logic and humor was fully evident in his solo, starting with few notes, building each chorus until he was blowing long lines of musical thought, managing to make a “Shortnin’ Bread” quote fit so perfectly into his line that one could almost miss it. Brubeck’s ensuing solo was a fantastic contrast to Desmond’s. Where Desmond was fluid and smooth, Brubeck was syncopated, heavily rhythmic, and comprised almost entirely of full, rich chords. When he hands it over to Morello, he disguises his ending, causing Morello to chuckle before going into his fun solo. Utilizing space, melody, and silence, Morello’s solo is tasty and the audience happily applauds for him when Brubeck reenters with the melody. For the first time on tape, Desmond uses the classic chime phrase during the ending figure (think the old NBC chimes, or old door/clock chimes). Unfortunately, this performance isn’t commercially available. It’s from a tape available for listening only at the Library of Congress in Washington D.C. Recorded by the famed sound engineer Wally Heider, the sound quality is excellent and in full stereo. Hopefully these tapes and the many more Brubeck tapes will one day be made available to the music-buying public. But until that day, we have to make a pilgrimage to Washington D.C. to listen to this fantastic performance. For more info, check this out for some tantalizing ‘liner notes’ written by a dedicated fan of performances locked in the Library of Congress. And in case you were wondering, that cover art at the beginning was made by the same gentleman who wrote the ‘liner notes’ to the fantasy ‘album’. In other words, there is unfortunately no ‘Live At Multnomah’ bootleg album by the Dave Brubeck Quartet floating around out there! 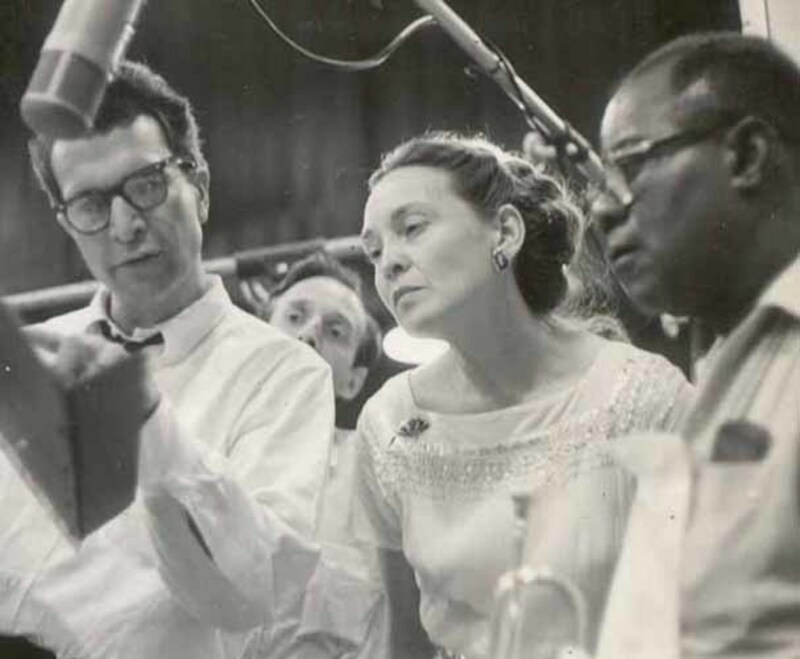 For his 1961 studio collaboration with Louis Armstrong and Lambert, Hendricks and Ross, Dave Brubeck brought both new and ‘old’ originals with lyrics written by his wife Iola. While some were retitled, “Nomad” kept its original title but became a new song of sorts as a result of the lyrical and musical interpretation by Louis Armstrong and his clarinetist and pianist. The flavor of the piece is overall more Middle-Eastern thanks to the unique block chords of the pianist and the clarinet. After the initial shock of Louis Armstrong’s vocals on the song, the lyrics are worth close attentiveness. It’s notable that they mention Allah, a culturally-sensitive move. After singing, Armstrong quickly picks up his horn and restates the melody in his own signature style. It would’ve been interesting to hear what his actual improv on the tune would have sounded like. He solos for a chorus before returning to vocals and closing the tune. It’s brief but moving music, and it’s the only example (that I’m aware of) of a musician from Brubeck’s era covering “Nomad”. 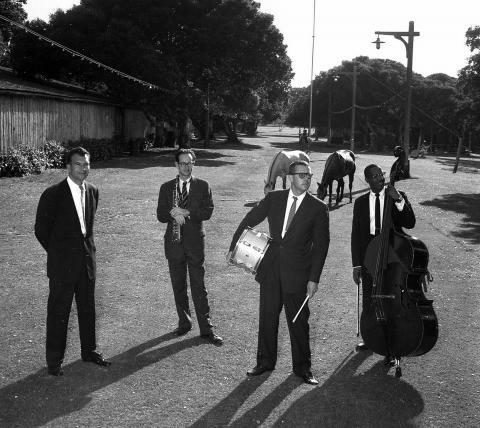 Recorded off the radio, this broadcast captures the Dave Brubeck Quartet performing live at the Grugahalle in Essen, Germany. The sound quality is rough but very listenable. Brubeck opens up with a spoken introduction, and garners some applause and happy sighs from the audience when he mentions “Nomad”. This version is more laid-back than the other versions, with everyone turning in cool solos. Desmond alters the melody a bit here, opting not to play the higher notes of the melody. His first statements on his solo have a bluesy tint, getting Brubeck’s vocal approval. Brubeck’s solo is also more tempered. Morello’s solo is the most introspective and quiet of the groups; he resorts to playing the cymbals melodically, then moves to the toms. He kicks the high-hat in for the last eight bars of his solo as he tastefully (if you can’t tell, Brubeck’s group is delicious) concludes his solo. Again, Desmond uses the chimes phrase in the figure, something he would use in the other recorded instances of “Nomad”. This recording comes a television appearance by the Dave Brubeck Quartet on KQED in San Francisco. The sound is clean, and the music is good. Again, we have Brubeck’s spoken intro before the begins. Desmond seems to reference “Hot House” before stumbling a bit. Brubeck ends this rendition of the piece with another full chord. The music from this TV appearance appeared on a bootleg album before appearing on the unofficial CD release of Brubeck’s 1965 concert in Ontario, Canada. Recorded: 28 August, 1962 at Washington D.C. This is the longest and most unique outing on this tune that is commercially available. 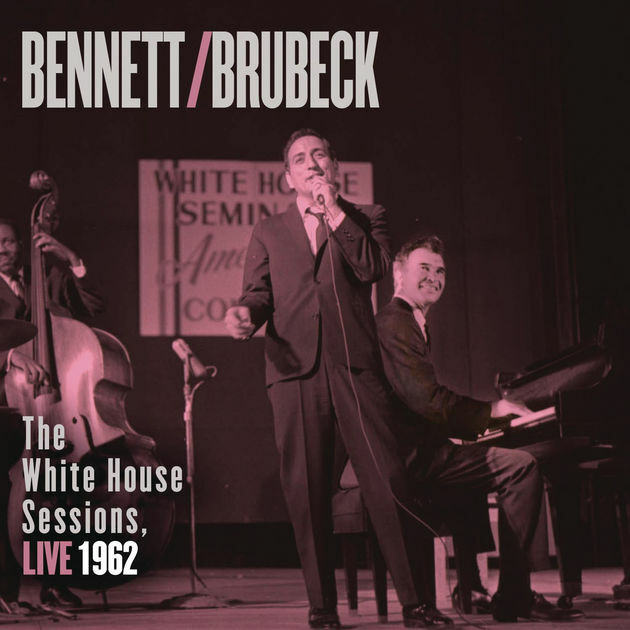 Recorded on the lawn outside of the White House in D.C., this comes from a tape that was recorded with the hopes that it would be commercially released, along with a few tunes from Tony Bennett, who was also on hand. The tapes were lost and didn’t see the light of day until fifty years later, when they were finally released in 2013. Taped in glorious stereo, this is also one of the best-sounding recordings of the tune. Taken at a healthy clip, Morello’s hand-drumming gets things off to a start. Desmond’s altering of the melody where he omits the higher notes is in full effect, as well as Brubeck’s altered chords leading into Desmond’s solo. In typical fashion, Desmond builds his solo by using a few notes at the beginning and working to longer lines as he goes along. He fits a phrase in that he used on other songs in the early 1960’s at the 2:35-minute mark, then weaves one of the themes from “Rhapsody In Blue” in shortly afterwards. He concludes his solo in a logical fashion, then Brubeck begins his solo. His solo is much longer and varied, moving from single notes to full, orchestral piano. The fun begins when Brubeck finishes his solo and hands it over to Morello. Normally, Brubeck gave it to Morello at the end of the chorus and beginning of the next chorus. On this occasion, Brubeck continues full-steam for four bars into the next chorus before giving it to Morello. Perhaps thrown by the four-bar ‘intrusion’, Morello treats it like trading fours, coming back with the steady beat after his own four-bar solo. Wright jumps in with the bass and the two continue for two choruses as a duo, with the occasional piano from Brubeck. I’m not sure if this was a planned thing, as this is the only time they traded fours on “Nomad” like this, but they pull it off, with Morello injecting his four-bar statements with typical humor and taste. Desmond’s chime outro closes out the tune. This was the last time the Brubeck Quartet was captured on tape performing this track. Save for a live recording of the Jazz at Lincoln Center group performing it, “Nomad” hasn’t been received well by other bands. It would be cool to imagine Art Blakey and The Jazz Messengers circa 1958 playing this tune, complete with Blakey’s thundering drums and the other guys on cowbell and other various percussion instruments during the drum solo. Hopefully, more recordings of this under-recorded tune show up!